Hello and welcome – I’m Nancy Roth, Owner and Lead Designer of Perfect Design Solutions Inc. Our company philosophy is: It’s perfect design because it’s perfect for you! 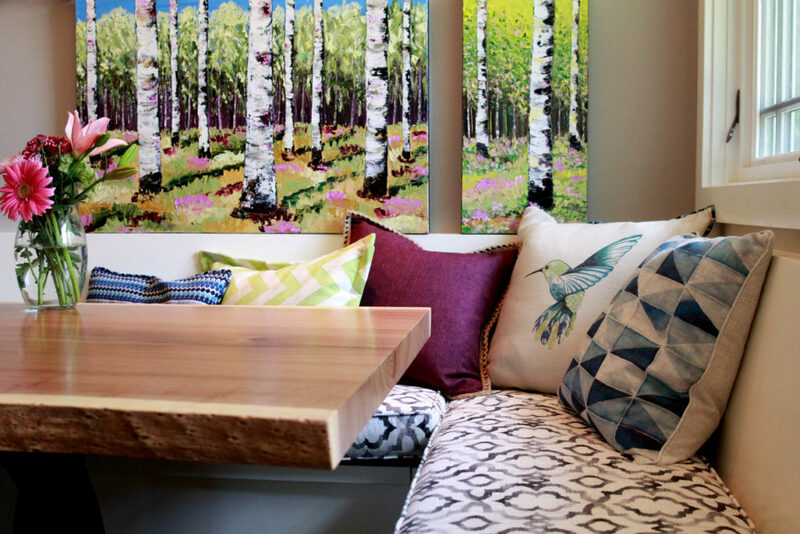 Whatever the interior design goals are for your space, we’ll help you achieve it! While I specialize in personalized, residential interior design, I also work with property managers and owners of commercial and income properties. With each new project however, my design process and goal is the same. We get to know each other, I listen and assess your space and resources, learn your specific needs, frustrations, preferences and goals, then pull all this information together to create a personalized, functional, coherent, clean design that reflects your style and needs! My services range from a simple hourly consult of selecting paint colors and furniture arrangement to creating your detailed remodeling design plan. As your interior design consultant, I look at your space with a fresh perspective, many times coming up with design ideas and opportunities that may have been overlooked simply because the client was too close and familiar to see it! I love it when I get feedback from clients that the design choices and changes I’ve made have had such a positive impact to them and their families’ happiness and contentment with life. That’s been the best part of my job! 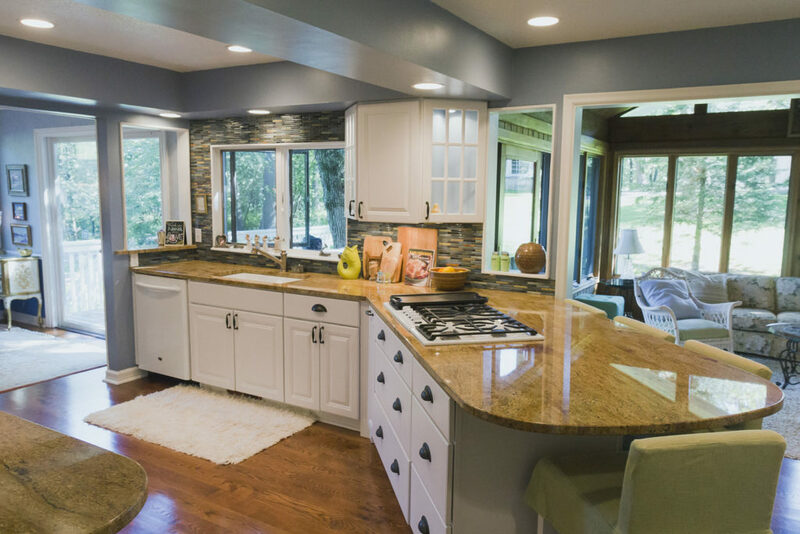 "I have worked with Nancy for nearly eight years now, remodeling and redecorating my entire home in Mahtomedi, our cabins at our resort on Lake Kabetogama, the remodel of the kitchen at our company's office building. In each instance Nancy brought her great sense of color and design and combined it with her innate understanding for the use and comfort of the space. She was even able to integrate the things I just had to keep, so they too became 'at home' in the new design. Nancy and Perfect Design Solutions has become an invaluable resource to me." Nancy truly has an eye for color. She can walk into a room and immediately visualize its transformation with new paint, fabrics and the arrangement of furniture and accessories. She loves a challenging space and the idea of putting all available area to use. Nancy was very cost-conscious about doing a beautiful redecorating job for me. She was open to many of my ideas and had ideas for huge improvements. I’ve had many compliments! I have to tell you that I chatted with Mom on Friday night and I could just tell she was so excited about her day spent with you. I went over to her house on Saturday and it’s absolutely beautiful! The furniture is just perfect, like it was made for that room. She absolutely loves her new arrangement. I do too! You were right to work on this project now. She is so proud of her new update that she is telling all her friends about it. It’s really contagious! Jeff had a client over to the house the other day who happens to be an old neighborhood friend. They had never been to our house, but when they walked in the door they commented how nice it was. Jeff told him we hired a interior designer. He told them she is really good at what she does and lots of fun to work with. The funny thing is we went to their house last night and his wife asked for your name and number, as she is looking for someone. See, even Jeff is spreading the word.